Anyone who's ever held a Santa Cruz Shredder in their hand knows that this product is all about quality and durability. 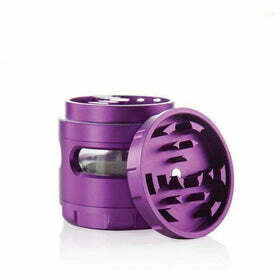 These herb grinders are crafted from a single piece of high-quality CNC aluminum to ensure a reliable product which provides a consistent grind upon every use. Santa Cruz Shredder grinders are scratch resistant thanks to an anodized coating covering the entire item. 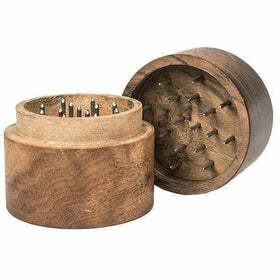 These 4 piece grinders come apart into a strong magnetic top, a tooth section, herb chamber, and pollen catcher!